On February 13th, 2018, the Stockholm Free World Forum in cooperation with the Konrad Adenauer Stiftung hosted the mini conference Information Warfare and the Weaponization of Democracy. The conference aimed to discuss how information warfare does play out in 2018, and how well prepared the key actors and stakeholders are in Sweden in the wake of the election campaign. Specific topics included whether we should use the term fake-news, how troll factories operate and how traditional media should respond to information warfare. On November 14th, 2016, the Stockholm Free World Forum hosted its yearly conference. This year, the theme was The Future of Europe and the Transatlantic Link. The conference aimed to discuss the unstable situation in which Europe and the transatlantic relationship currently find themselves. Specific topics included the future of transatlantic security, the prospects for European cooperation, the rise of populism and authoritarianism as well as the impact of post-truth and information warfare on the transatlantic community. After the Crimea Crisis: How will Russia develop as a regional actor? The future of US defense: How will Europe be affected? What is the future of NATO in Europe? 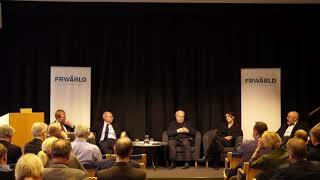 and What is the role of the Nordic countries for the common security of the region? 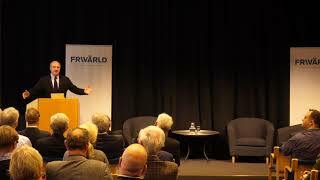 On the 27th of May 2013 the Stockholm Free World Forum hosted a conference on security cooperation around the Baltic: Security around the Baltic, 2013. 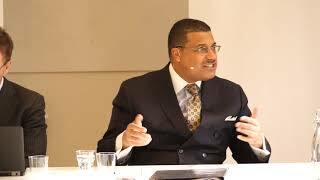 The Forum gathered a number of renowned international and regional speakers.